Jason Jones and Laura Benanti. 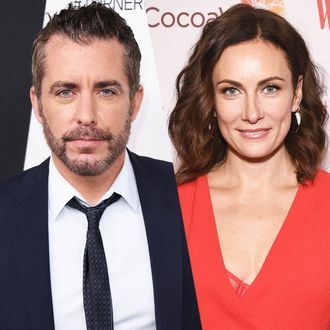 At this year’s Lucille Lortel Awards, co-host Laura Benanti says you can expect “one beautiful, hilarious theater star who has a deep respect for the theater and all it stands for and a middle aged white guy.” The Off-Broadway League announced today that Benanti and Jason Jones, who appear together on TBS’s The Detour, which Jones created with his wife Samantha Bee, will host the 33rd annual Lucille Lortel Awards on Sunday, May 6, at the NYU Skirball Center. The ceremony celebrates the best of Off Broadway each year. This year, they will also honor Eve Ensler with a Lifetime Achievement Award, WP Theater with Outstanding Body of Work, and the late Michael Friedman, who’ll be posthumously inducted into the Playwrights’ Sidewalk. Nominations will be announced and tickets will go on sale on April 3.